Judy's Restaurant on State Street is up for sale. Owner Del Merritt is ready to move on after 41 years in business. Del Merritt, who opened Judy’s Restaurant at the corner of State and Essex streets in Bangor 41 years ago, is taking guidance from Kenny Rogers as he gets ready to sell the business and the building it’s housed in. Merritt, 73, opened Judy’s primarily as a bar in 1977 at 121 State St. in the former location of Essex Street Variety, a soda fountain and market. 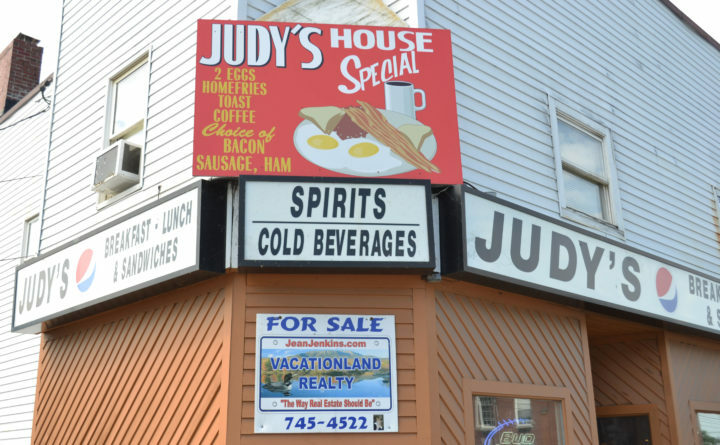 He’s seen more than his fair share of excitement in his nearly five decades in the bar business, though today Judy’s is better known for its breakfast than for its nightlife, despite still being open late. Merritt said for the past few years he’s been facing a challenge getting qualified staff and meeting ever-increasing overhead costs. Most of Merritt’s time these days is spent on running Speedway 95, the stock car racing track in Hermon, which he’s also owned since 1977. He also owns Cap’s Tavern in Brewer, which he bought in 2007. 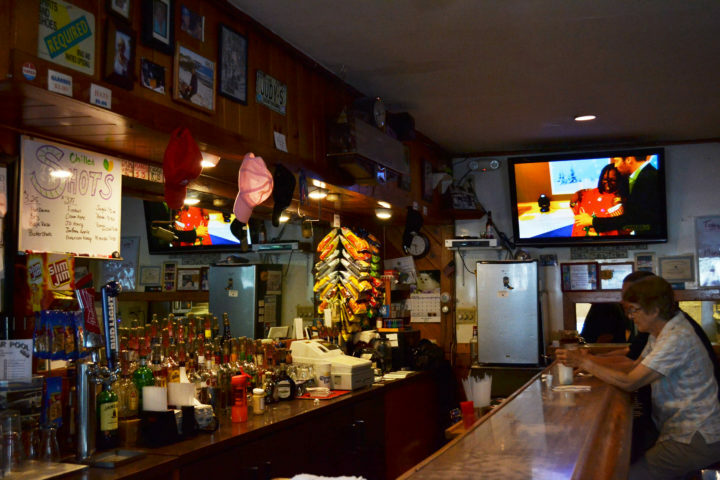 Merritt has a long, colorful history in the bar scene in the Bangor region, owning a number of often-lively saloons and dives, all of which have been proudly unpretentious. He’s owned five different bars in the city, including Judy’s and Cap’s; Del’s Place, at 137 State St., which he ran from 1971 until the mid-’80s; Pat’s Cafe, also on State Street, which closed in 2006 after Merritt owned it for 17 years; and Nan’s Tavern, a Hammond Street bar that closed in the late ‘80s. Judy’s has been Merritt’s stalwart for all these years. In the 1980s and ’90s, the place retained a rather checkered reputation in the Queen City. 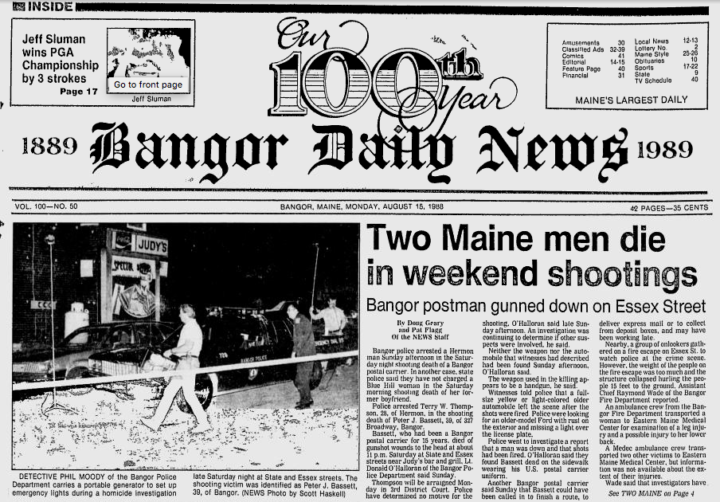 Back then, the Bangor Daily News police beat regularly included reports of fights, stabbings and other incidents at the bar — a characterization Merritt felt was unfair. The most infamous tale of Judy’s happened almost exactly 30 years ago, on Aug. 13, 1988, when an off-duty mail carrier named Peter J. Bassett was shot and killed outside the bar after an argument with another patron. Police found his body outside the bar, still clothed in his postal uniform with a gunshot wound to the head. The homicide remains one of just four unsolved murder cases in Bangor. BDN front page from Aug. 15, 1988, reporting on a murder that occurred outside Judy's Restaurant on State Street. When it was a good night and the jukebox was blasting Willie or Waylon, Merritt said, you couldn’t find a better party in Bangor. In more recent years, Judy’s has largely shed its notoriety, as its clientele has aged out of such antics. Gone are the days of broken bottles and booze-fueled scuffles. Patrons today tend to gather simply for camaraderie over a couple beers or to enjoy a no-frills, classic American diner-style breakfast. 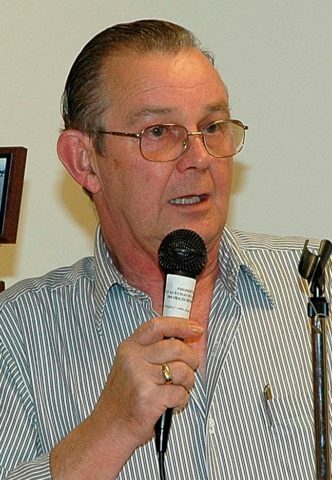 Del Merritt, owner of Speedway 95, addresses the track's awards banquet in 2008. This isn’t the first time Merritt has tried to sell the business. In 1999, after smoking was outlawed in restaurants in Maine, Merritt put Judy’s up for sale — for $450,000 — saying that the ban would so negatively affect his clientele and that he wouldn’t be able to continue. At some point in the months after that statement he took it off the market. He maintains that the smoking ban for bars killed off Pat’s Cafe, the beer bar next door to Judy’s that he also owned, which he closed in 2006. Merritt still has plenty of other things on his plate. In addition to Speedway 95, Cap’s Tavern in Brewer is going strong, even after a massive fire last summer gutted the original building. Merritt quickly rebuilt on the same site and reopened in the brand-new building in January 2018. The fire was deemed arson, though no one has yet been charged with a crime related to the blaze. Nevertheless, Merritt says that when Judy’s sells, he’s probably going to cry.